This is a fun beginner project from Tilly and the Buttons that I find myself wearing all the time. 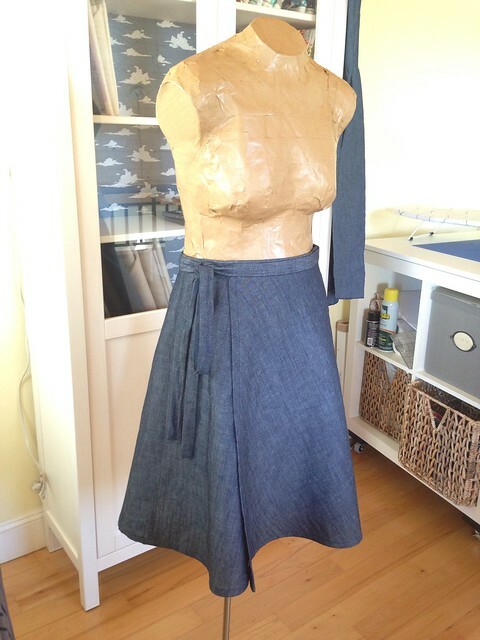 I made mine in a soft chambray with narrower ties and waistband than specified in the pattern. The wrap opening is supposed to be in the back but it looks better in the front on me.